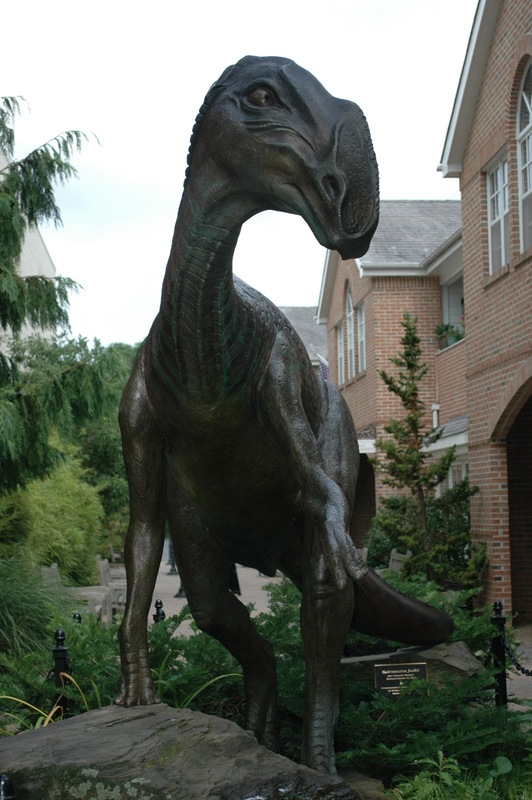 A casual visitor to Haddonfield might wonder what a life-sized dinosaur statue is doing downtown in this historic, upscale Camden County town. Was a Godzilla movie made here? Did a grade school class petition to have their favorite prehistoric creature placed here? What gives? This shopping-district denizen is actually a representation of the Hadrosaurus, the first find of a nearly-complete dinosaur, and the event that put Haddonfield on the paleontological map in the mid 1800s. It's also a demonstration of what a determined young person can do when presented with some pretty neat data about his home town. First, the discovery. Back in 1858, summer visitor William Foulke heard that some really big bones had been found 20 years earlier in a marl pit behind the home of his host, John Hopkins. Marl was used as fertilizer at the time, and the area was rich in the deposits, which also contained the remnants of the ancient sea which had once covered the area. Being a bit of a fossil hound himself, Foulke hired assistants to help him explore the pit in hopes of finding more bones. They soon hit pay dirt and along with prehistoric shells and other detritus, were able to unearth more bones from this single specimen than other digs had found of any other creature to date. The find was dubbed Hadrosaurus foulkii, and according to a website about the find, the name derives from the Greek words hadros (large, bulky) and sauros (lizard), along with the name of the man who'd originated the search, but it also seems to be named for the town where it was found. The bones were sent to the Academy of Natural Sciences in Philadelphia, and studies on the specimen there contributed to the Academy's reputation as the foremost authority on paleontology for its time. Foulke eventually found another specimen nearby, Hadrosaurus' predator Dryptosaurus aquilunguis. For over a century, the site was little known outside scientific circles, and one might even wonder if local residents had any idea it was there. The site had become a dumping ground over the years and was largely in disarray. That all changed in 1984, when Boy Scout Christopher Brees chose it as his Eagle Scout project. 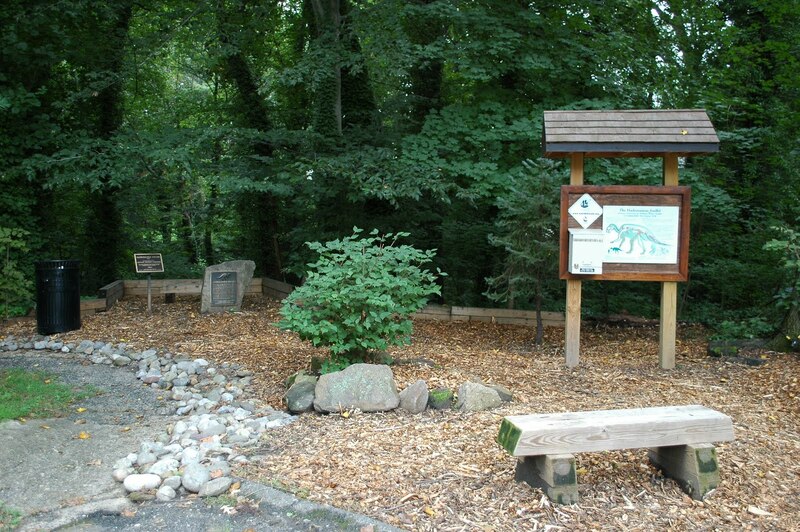 Today, thanks to his efforts, the find site is commemorated a small park above a ravine in a residential setting at the end of Maple Avenue in Haddonfield. The site has also been named a National Historic Landmark, and the Hadrosaurus was named the state dinosaur in 1991. Christopher's family continues to maintain the memorial park, and while it's tiny, it's very pleasant. Beyond a plaque and explanatory signage, the park has a picnic bench on which someone (maybe the family?) has thoughtfully left some accurate and not-so-accurate dinosaur toys. You can also hike down to the ravine where the bones were found, but there's no exact marker of the dig site.